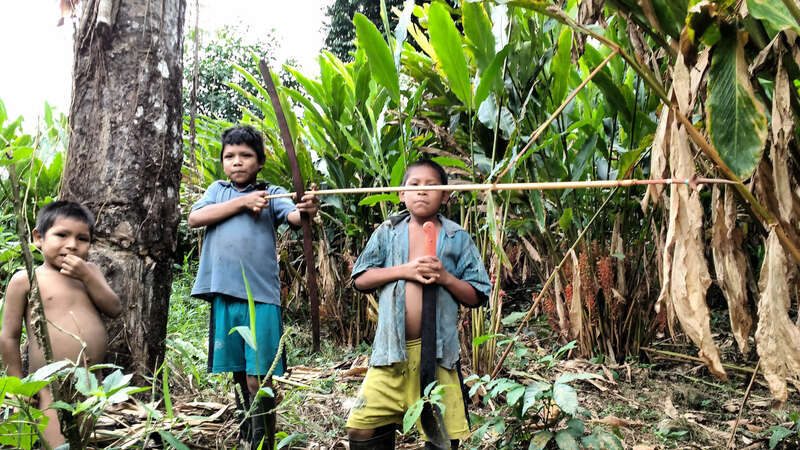 This is the third installment of “The Guardians of Mother Earth,” an exclusive four-part series examining the Indigenous U’wa struggle for peace in Colombia. In the cloud forests on the eastern cordillera of the Colombian Andes there is no internet, and phone reception is limited to a few lookouts on the craggy cliffs above the tree line. As news from the U’wa mobilization in the paramos surrounding the sacred Mount Zizuma filter down to the base of the mountain range in the Boyacá Frontier District on the Venezuelan border, Berito rests in his wooden shack recovering from tuberculosis. As he slowly convalesces, the indigenous leader has time to reflect on the struggle that has defined much of his life and can take pride in this next generation of pacifist U’wa warriors who have taken up the fight to save Mother Earth in his absence. Education has been a key strategy to the U’wa leadership to ensure the tribe’s survival into the 21st century. Berito learned the importance of educating U’wa children about Natural Law, which predates and takes precedent over the laws of men, as the result of a childhood trauma: as a young boy, he was kidnapped by Catholic missionaries and forced to live in a convent until, after several years, his mother rescued him. The missionaries named him Roberto Cobaria, after the Cobaria river that ran past the mission. This arbitrary name followed him for most of his life as it was the name officially recognized by the Colombian government. 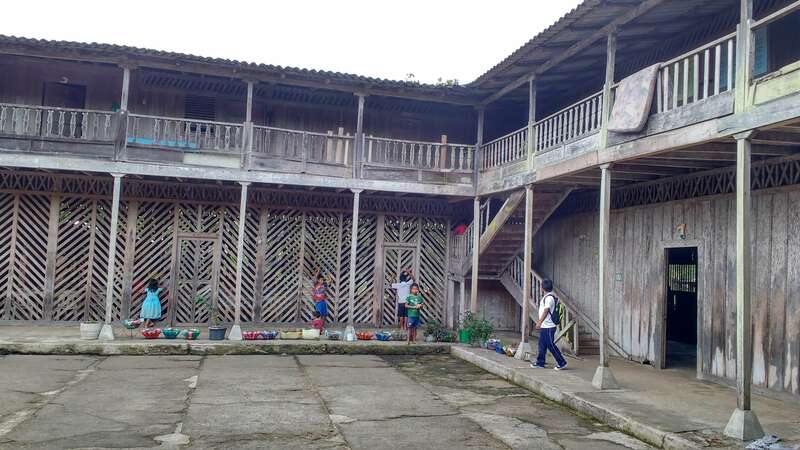 The massive wooden convent that held the young Berito had enough rooms to house priests, nuns, cooks, cleaners, and at least 80 other abducted U’wa children. Today, however, this place that once perpetuated the cultural genocide of the U’wa has been transformed into a school that teaches their native language inside its classrooms with murals depicting their ancient mythology decorated along the walls. 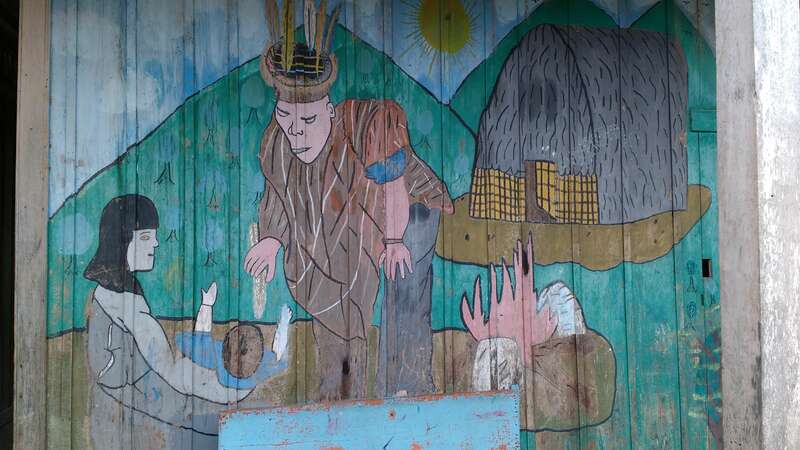 In the playground the unruly grass and patches of moss and lichens cover the cracked base of a neglected statue of the Virgin Mary, but the intergenerational scars left by the missionaries are evident in the survivors and their families. “They took my mother when she was 6 or 7 years old and kept her there for about 16 years,” Luis Eduardo Caballero, the Fiscal (legal representative) of the U’wa Peoples, told IC. According to Caballero, the Catholic Church invaded from opposite ends of U’wa territory in the late 1940’s via the Andean plateaus of Boyacá as well as the lowlands beside the Cobaria and Arauca rivers. A rival evangelical organization called the Summer Institute of Linguistics, located a short drive outside of U’wa territory, was also involved in the systematic kidnapping of indigenous children. As Berito grew to adulthood, he served as the governor of the U’wa and became a spiritual authority or Werjayá in the U’wa tongue, a shamanic healer in charge of communicating with the superior powers that inhabit nature: the rivers, the plants, the sun, and the stars. His childhood experience in the convent galvanized him to take the fight for his people’s rights outside the isolated cloud forests to the capital Bogotá and then beyond Colombia’s borders. It was only until December of last year, that Berito traveled to a judicial office in the capital to officially change his name from Roberto Cobaria, that which was placed on him by the Catholics, to Berito KuwarU’wa KuwarU’wa, the name used by his people. The leaders significance as an influential elder statesmen for Colombia’s Indigenous Peoples has not gone unremarked. “Berito taught Colombia’s indigenous people and the world the importance of the globalization of resistance, how to defend the beloved Earth and how to fight against climate change.” said Luis Fernando Arias, the Chief Councilor of the National Indigenous Organization of Colombia (ONIC). Terence Freitas was the co-creator and coordinator of the U’wa Defense Working Group that was essential in drumming up international support for the U’wa. The young activist transformed his bedroom at his mother’s house into the de-facto HQ for the U’wa’s international campaign against Occidental Petroleum in the late 1990’s. Even his mother was unaware of the extent of her son’s involvement until one morning she found Berito, the leader of 7,000 indigenous people from the isolated paramos and cloud forests of eastern Colombia, sleeping on the living room floor of her suburban Los Angeles home. In 1997, after meeting with the directors of Occidental Petroleum in Los Angeles, Berito was kidnapped on his return to Colombia by gunmen who tried to force him to sign a drilling agreement. He refused and they beat him. In 1998, Freitas accompanied Berito to Al Gore’s office to meet the environmentalist vice president after the U’wa leader was awarded the Goldman Environmental Prize. Unfortunately Al Gore, whose father sat on the board of Occidental Petroleum and owned a small fortune in the company’s shares, never pressured Oxy publicly. A year later Berito invited Freitas and two native American activists, Lahe’enda’e Gay and Ingrid Washinawatok, to help set up schools to protect the U’wa language and culture and defend their way of life from the oil industry. Washinawatok was a world-renowned 41-year-old indigenous activist known as Flying Eagle Woman of the Menominee Nation of Wisconsin and a rising leader in the struggle for indigenous rights. She also directed the Fund for the Four Directions, which promoted the revitalization of indigenous languages and cultures. Lahe’ena’e Gay was a 39-year-old member of Hawaii’s Kanaka Maoli Nation, as well as the founder and director of the Pacific Cultural Conservancy International, which works to preserve cultural and biological diversity. Freitas knew the risks. On a trip to U’wa territory a year earlier he reported being observed and followed on various occasions by individuals he believed were paramilitaries. During that same trip he was stopped by the Colombian military and forced to sign a declaration that absolved the army of any responsibility for his security. He interpreted the act as a threat. The shared vision of Berito, Freitas, Gay and Washinawatok to develop schools to teach the next generation of U’wa children a non-colonial curriculum; alongside lessons on Natural Law, which was set down by the divine spirit Sira entrusting the U’wa with the guardianship of Mother Earth, outweighed the risks. As Berito guided the three activists on their way to the airport to leave Colombia, they were kidnapped by masked gunmen. While the U’wa leader was immediately released, the bodies of the activists were found a week later bound and blindfolded with multiple gunshot wounds in a Venezuelan cow field over the Arauca river. Because the FARC was then in preliminary peace talks in the late 1990’s, presaging more recent events, the guerrilla group appeared to have little to gain and much to lose from the kidnapping and executions. Indeed, the FARC high command was quick to deny complicity, in order to protect those fragile peace talks. 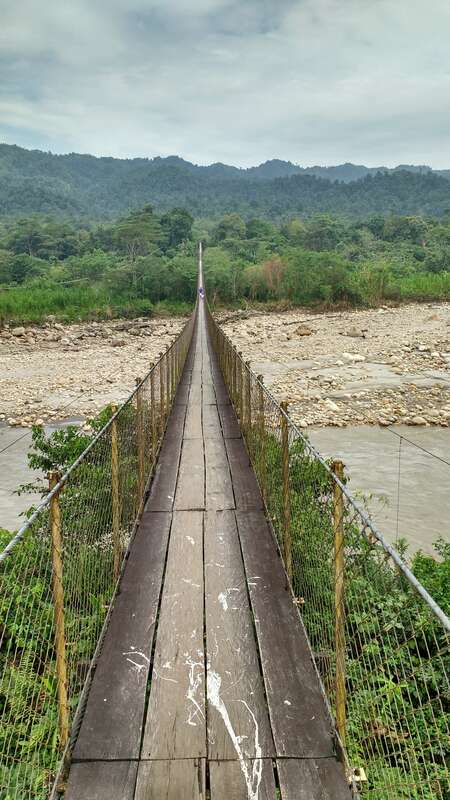 Washinawatok’s Menominee Nation and various other U.S. indigenous rights groups accused the U.S. State Department of destabilizing their own negotiations with the FARC for the release of the activists, which they had believed would be imminent. During the failed peace talks of the 1990’s, the US State Department had released $230 million in military aid to the Colombian army, and fighting in the north between the army and their right wing paramilitary allies against the FARC had left 70 people dead on both sides. Meanwhile, Occidental Petroleum wasn’t just spending millions to lobby the U.S. government to increase military aid to Colombia – it was providing direct financial and logistical support to the Colombian military. The oil giant was also funding private security firms like Air-Scan, which carried out the cluster-bombing massacre of Santo Domingo on Occidental’s behalf, as well as the paramilitary death squads involved in kidnapping, torture, extrajudicial killings and massacres of civilians across the region. Most surprisingly, however, was the U.S. multinationals’ links with Colombia’s marxist guerrillas, confirmed when Oxy Vice-President Lawrence Meriage gave testimony before the U.S. House of Representatives in 2000. He admitted that Occidental employees regularly made payments to members of the FARC and ELN. Meriage’s acknowledgement of Oxy’s work relationship with the guerillas came three years after the ELN and FARC were declared “Foreign Terrorist Organizations” in 1997, making it a crime to provide material support to these groups. After his passing, Freita’s former girlfriend lashed out at Oxy in a letter to Vice President Al Gore, referring to the company’s friendly links with the guerrillas. Berito later testified to Amnesty International and the Inter-American Commission on Human Rights to complain about the incident that took the life of three of the U’wa People’s greatest friends and allies. An article in the LA Weekly eulogizing the young activist after his death stated: “In May 1997, Freitas met the man who would change the course of his life: U’wa leader Roberto Cobaria.” Terry Freitas was 24 years old when he was executed. The international campaign against Occidental Petroleum soon hit critical-mass. With many still reeling over the death of the three activists, protests against the oil giant were launched in London, Hamburg, Lima, Nairobi and several cities across the United States. The U’wa leader Berito Cobaria once again traveled from the cloud forests of eastern Colombia to the west coast of California where he planned to challenge Oxy CEO Ray Irani at the company’s annual shareholder meeting. Meanwhile as Occidental Petroleum funded all sides of Colombia’s brutal civil war, the flow of hundreds of millions of dollars of crude oil to the Caribbean coast continued.